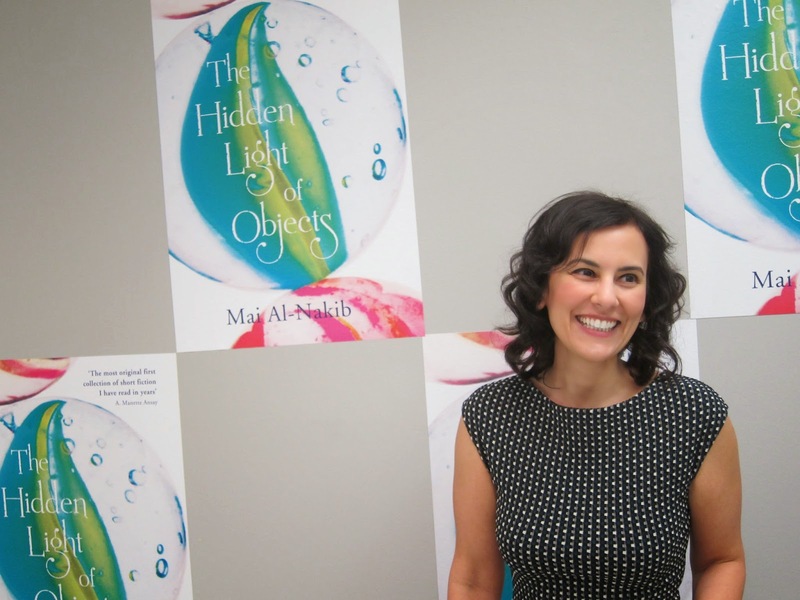 Mai al-Nakib’s debut collection, The Hidden Light of Objects, has been attracting attention around the world. But do we read these stories as “Kuwaiti” or “American”? As al-Nakib sees it, the Kuwait of her youth was cosmopolitan, heterogeneous, outward-looking, and adventurous. When she returned to Kuwait from the US and England, she scarcely recognized the country. The stories in The Hidden Light of Objects often contrast a beautiful, almost utopian vision with a later or ongoing destruction. They are beautiful stories in many ways, flush with sensory detail, gorgeous objects, attractive people, and privilege. Many of the stories begin at a happy time: Beirut in 1965, Kuwait in the early 1970s. But utopian visions aren’t limited to nations at peace. In an Iraqi POW camp, a Kuwaiti woman is locked up for ten years. In order to survive, she obsessively remembers all the beautiful objects she’s gathered into her home from around the world: shawls, jewelry, books. In the Occupied West Bank, a Palestinian teen creates a utopia out of literature and midnight kisses. The ten stories share a connection to Kuwait, but they are always outward-looking. They take us to Japan (“a teal-colored kimono with a glorious pink sash”), the Kuwaiti island of Falaika (where water is “crystal tinged with green”), Lebanon (the “empress of the Middle East”), the Greek island of Sifnos (“on a catamaran flying through indigo waters”), and beyond. From these points of beauty, the stories slip, at any moment, towards destruction. In “Playing with Bombs”, the bookworm narrator is confronted by two older bully-boys. These two force him to declare his love for Palestine and later try to coerce him into a suicide mission. In this story, the narrative choices feel forced and obvious. Still, they take place in the narrator’s intensely personal fifteen-year-old world. The horrors that each of the characters experience are deeply personal, even when set against a collective loss. In “The Diary”, the protagonist’s mother dies on September 9, 2001, two days before the attacks in the United States. She later writes, of this death, that, “It should have been a national emergency, but it wasn’t.” In “Amerika’s Box”, a Kuwaiti girl is re-christened “Amerika” after the 1992 expulsion of Iraqi forces; she is killed by a missile in 2003. But the story is not about either of those events, but about how, in her changing country, Amerika’s peers try to force her to conform. Like Amerika, many of the characters are fleeing Kuwait in one way or another, often into a Westernized life. In “Her Straw Hat”, a deep exploration of depression, Ghaliya changes her name to Julie and moves to Paris , but the ghost of her mother follows her. Very occasionally, there is movement in the other direction, as in “Echo Twins”, where Alexander becomes Iskander. But we hardly see Alexander/Iskander, who is beaten up by the inhabitants of a small Kuwaiti village for transgressing with a Kuwaiti woman. After the beating, he disappears from the scene. Other Westerners, such as Charles in “Snow Dossiers”, engage only superficially with Kuwait. Charles, a science teacher at ASK, is obsessed with one of his female students. But outside of this young girl, the country makes little more than a stereotyped impression on him. The story’s beauty is in its absence: At the end of his life, Charles has nothing. Although al-Nakib’s collection consciously moves around the Middle East, with a focus on the eastern region, the stories are always looking out. In this and in its aesthetics, the collection is markedly different from contemporary Kuwaiti literature written in Arabic. Instead of building on Arab storytelling traditions,The Hidden Light of Objects is shaped like the best of American or British short stories. Indeed, The Hidden Light of Objects is an outsider narrative about Kuwait and the eastern Middle East. Al-Nakib doesn’t address many of the issues at the heart of current Kuwaiti artistic and literary discussions, and, when she does, she does approaches them in a very different way. The collection is much more easily accessible for a Western reader than most translations; the bridge a reader crosses is not very far.